The AirMD network is an environmental testing and consulting group that conducts mold testing and mold inspection services in Phoenix, Arizona. 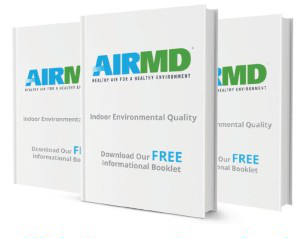 AirMD’s accredited network of environmental consultants use state-of-the-art equipment to identify the source and extent of any mold problem and recommend a solution. The consultant will perform a visual inspection, conduct air quality sampling with laboratory analysis, temperature and humidity readings, moisture assessment and respirable particle sampling. If mold is identified, the consultant will include the proper protocol for mold remediation. AirMD can also refer a specialist from our network of independent, certified mold remediation specialists. After mold remediation, the consultants will conduct a post remediation test to ensure that all mold issues have been removed. Why do you need Mold Testing? Mold growth is a common problem, a leak or water intrusion can easily result in a mold issue. Mold can be the cause of numerous respiratory ailments, as well as cause extensive property damage. Some individuals may not even be aware of any water damage, but suspect mold growth due to the musty odor that mold gives off. If you have recently experienced any form of water damage or suspect mold, you need to have mold testing and mold inspection completed by a professional testing group like AirMD as a first step to determine if remediation and removal is necessary. AirMD’s stringent standards allow only experts in the field of mold testing and mold remediation to be considered for our network. Our network of independent, environmental consultants have provided mold testing and mold inspection for thousands of residential, governmental, educational, and commercial clients who agree that AirMD, and our network, is a group that you can count on. AirMD’s network provides mold testing and mold inspection services to Phoenix, Arizona, as well as many other states across the country. When mold issues are identified in a property whether it’s a residence or building, the most important aspect of the assessment is to identify the cause why mold is present. Once the cause is identified it can be corrected and be followed up with mold remediation to remove the mold issues.. A key element in any mold remediation project is the development of a comprehensive mold remediation protocol. Identifying the areas that require remediation, direction on how to handle and dispose of the affected materials and documenting the health and safety aspects of the project are all key to the success of the project. Understanding local, Arizona and federal regulations is necessary to protect property owners and workers from unnecessary liability. AirMD has completed thousands of mold inspections with protocol development on properties including residential, large commercial buildings, governmental, healthcare and municipal buildings. To learn more about Protocol Development click here. To book Mold Testing and Inspection for your Phoenix home or business, Click Here. You can also call us at 1-888-462-4763 or 1-888-GO-AIRMD.